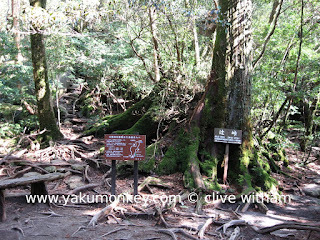 You don't see much about the K1 Kusugawa trail in tourist information. This is because it starts at the coast and snakes up to S1 Shiratani Unsuikyo. 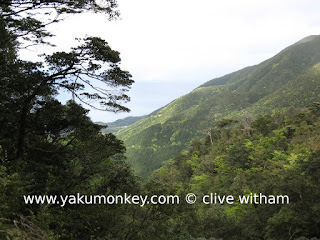 You can get to Shiratani Unsuikyo by car or bus, so why hike up there? If you want to go straight up from here, it takes 1-2 hours to hike up to S1 Shiratani Unsuikyo and the trail is easy to follow as it was part of the main Edo Period logging path. 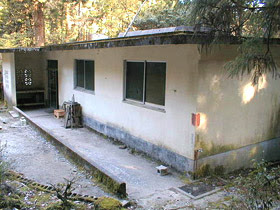 It has not been maintained of recent years so expect it to be overgrown in places. The trail then heads down towards the river should you wish to continue and eventually meets up with the railway trail from Arakawa (A1 trail) and is an alternative route to Jomon Sugi and Miyanoura dake. When you say empty, do you mean that this is a good option for golden week, when I don`t want to slog along behind 600 other people down the Arakawa trail? I`m trying to figure out the best option for an early afternoon start, stay overnight in a hut, then a good next day return hike. I was hoping to see Jomon Sugi, but from what you`ve been saying, perhaps there are other less popular places more worth visiting during this season? Yes, the bottom part of the Kusugawa trail is always empty of people. 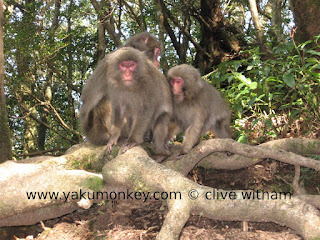 It's when you reach Shiratani which can be accessed by car that the crowds begin. In golden week, the trails will be busy I'm afraid, especially any trail which leads to Jomon Sugi. If you get to Jomon sugi late afternoon, there'll be the least people there. 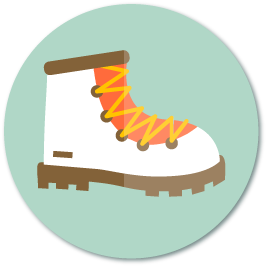 There are other trails which attract fewer hikers and if you can get hold of the book, you'll see them in detail. Hi Clive, I recently bought your ebook and it's really helpful. 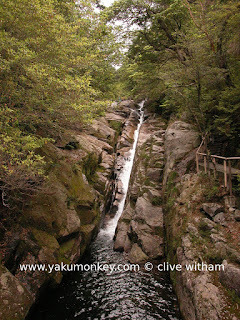 My boyfriend and I are planning to do the shiratani unsuikyo hike to Taikoiwa rock. You said it's very "steep". Just how steep is it? Are there any handles? Will we need heavy duty hiking equipment? Hi, yes the last part is steep but nothing too daunting. And no you don't need anything special - you can grab hold of the trees to help you up. It's a very clear trail with pink ribbons tied to trees wherever it might get confusing. As long as you avoid going late in the day when it gets darker, you should be fine. It's usually a busy trail so especially in the summer, you probably won't be alone for long. Hello Shaun. 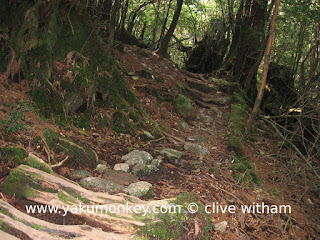 Yes the Kusugawa trail will be empty but then you'll hit the groups from Shiratani onwards. You can bypass some of this by continuing on the same trail and not going to the Shiratani entrance. Once you pass Taikowa rock it will be quiet again until you hit the railway tracks at Kusugawa junction. From then on you're on the main tourist route to see Jomon sugi. It's a common route to take to get to one of the Takatsu huts (The Takatsu is 6.4 km from Kusugawa junction) but it's very exhausting because you're going up for most of the way. It will also be heaving with people around the huts. 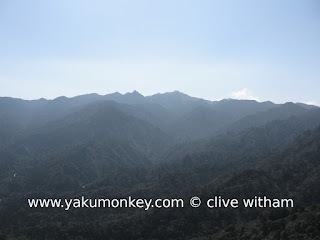 Some trails with less people at that time of year include Ryujinsugi, Tachu dake and Aiko dake. 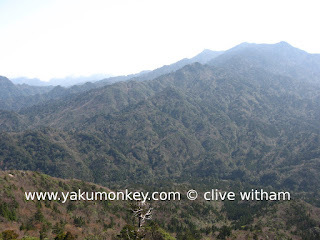 Ryujinsugi has ancient trees at the end and the other 2 have sweeping views.